England’s Indian sub-continent journey continues as they focus on how to deal with Indian spin duo Ravi Ashwin and Ravindra Jadeja. 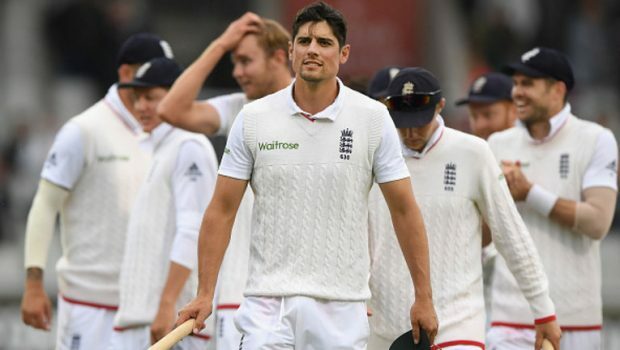 After a disappointing loss to Bangladesh in the second Test match, England must regroup for the five-match Test series against India. You can’t blame them for wanting to move on swiftly after the way in which Bangladesh claimed their first-ever Test win over the tourists in Dhaka. Chasing a target of 273, England raced to 100-0, with victory seemingly in their sights. However, that is when the mighty collapse began as they were bowled out for 164. There are, however, some positives to take from the series against Bangladesh. Moeen Ali took his second five-wicket Test haul as well as being England’s joint top wicket-taker with 11. Adil Rashid contributed with both bat and ball. Ben Duckett made his maiden Test 50, and Ben Stokes was his usual aggressive self. England fans will be hoping these players can continue their fine form in India. Moeen and Stokes, in particular, will be vital if England are to win a series against the world’s No.1-ranked Test team. Beating India on home territory is never easy, but England managed it in 2013, taking the Test series 2-1. Before that, though, they hadn’t won in India since 1984-85. So will it be another rare victory or back to business as usual? A few players did not grasp their chance to nail down a place in the side. Gary Ballance was one of them, scoring just 24 runs in two Tests and leaving himself open to fresh doubts. If Ballance is dropped, could teenager Haseeb Hameed come into the side and open with the skipper Alastair Cook? The Lancashire right-hander should be given a chance to show what he can do with the bat as well as learning from senior players such as Joe Root. One thing is for certain: England will be desperate to avoid another batting collapse. The writing was perhaps on the wall in the second Test after they found themselves 69 for 5 after 15 overs in the first innings, but no-one foresaw that second-innings shocker after they reached 100 without loss. These capitulations could well have a psychological effect on the players, making their confidence brittle in the face of India’s feared spin bowling attack. 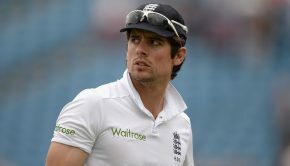 Cook had a fairly quiet series against Bangladesh, with his best score of 59 coming in the second innings of the second match. He does, however, have an impressive record in India, going back to his debut Test century in Nagpur in March 2006. So dominant are India in their home conditions, that touring teams are seldom expected to claim a series triumph. With a run machine in captain Virat Kohli and a world-class bowling attack in Ashwin and Jadeja, they will be definite favourites against England. India are coming off the back of a Test series win against New Zealand. Ashwin was the top wicket-taker with a mammoth 27 to his name compared to the 10 that both Trent Boult and Mitchell Santner took for the Kiwis. With Ashwin is in red-hot form, England will look to play him correctly and not to be too aggressive as he could strike at any moment. India’s batting line-up is another of their strengths, and the top six-seven can all contribute. Murali Vijay was in notably good form against New Zealand, and it will be up to England’s seam attack to target the Indians as they are more comfortable facing spin. Without James Anderson, Stuart Broad is likely to lead the line, with Stokes and Chris Woakes backing him up. 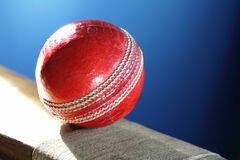 England face a tough series against India, but if they can read the pitches well, build big partnerships, avoid batting collapses and take plenty of wickets, then they will be fine. They need their spinners to be dominant. Rashid, Moeen and Gareth Batty must trick the Indian batsman as well as getting help from the pitches. Garry Ballance should be given one more chance in the first Test match to try and produce a big innings, but if he doesn’t then he should make way for Hameed who is eager to make an impressive debut against the best Test nation in the world. The first Test against India starts on November 9th in Rajkot at the Saurashtra Cricket Association Stadium, which is hosting its first-ever Test match. The last time England played in Rajkot was a one-day international versus India in 2013, with the visitors winning by nine runs. They’ll be hoping that’s a good omen for the start of what promises to be a demanding Test series. My England XI for the first Test would be: Alastair Cook (capt), Garry Ballance, Joe Root, Ben Duckett, Moeen Ali, Jonny Bairstow (wkt), Ben Stokes, Adil Rashid, Chris Woakes, Stuart Broad, Gareth Batty.